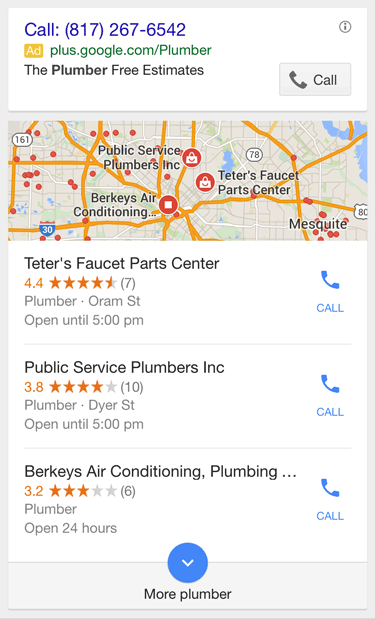 As of last Friday, Google has made more changes to the way it displays local business search results. What used to be known as the “7-pack” is now condensed to the “3-pack” with a “view more” link at the bottom of the local results. Clicking “view more” takes you to what some are calling the Local Finder, which displays 20 local results on the left and a map on the right. With all the changes Google is constantly making to their algorithm is this such a big deal? Let’s find out. Optimizing for local search is even more important than ever, because the number of featured organic results is smaller. 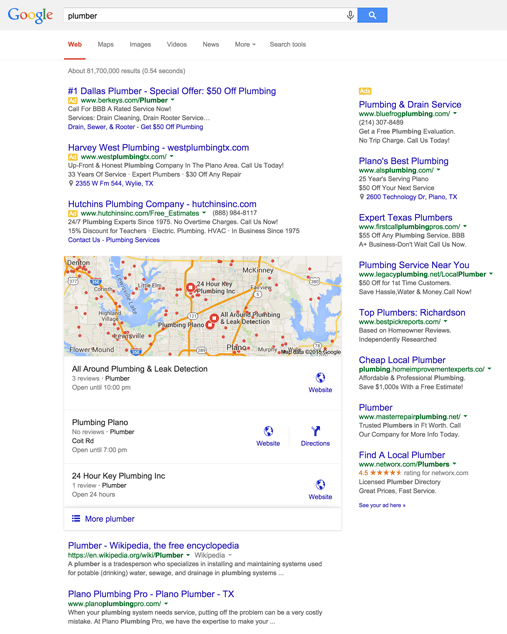 Google is always testing changes to the way it displays its Search Engine Result Pages (SERPs) and, as a result, the display of local businesses has changed many times over the years. For example, in the past, Google tested the “carousel” (that can currently be seen when searching for movie show times) to display local results. The carousel didn’t get the clicks Google was hoping for, so they changed it to display only when users run a specific type of search. Google’s AdWords are still displayed before the 3-Pack as well as to the right of the screen. You might want to consider running ads if your business doesn’t rank in the first three organic results, or if you are in a very competitive market. If you have ever wondered if it is worth the effort to manage your business listings and optimize your website for mobile, Google’s recent changes to their local search results has answered that question with a resounding – yes! It is more important now than ever for your business to not only show up on the first page of search results, but within the first few results. What will Google change next? Stay tuned. This will likely continue to evolve over the coming months.